Huge amounts of clean wood waste accumulates across the world every day from a huge variety of industrial and commercial activities. One of the main contributors to this form of waste is used wooden pallets, which are generally seen as disposable and have a short lifespan in comparison to their plastic counterparts. As long as the wooden pallet price is low, they will remain a mainstay in logistics for a long time to come, but the clean wood waste they leave behind needn’t be destined for the landfill any longer. Pallets aren’t the only source of wood waste. Fencing, decking, plywood and storage boxes are also contributors, and all of these forms of clean wood waste continue to head straight into landfill in many places. New recycling programmes in Wisconsin, USA, aim to reduce the impact of clean waste wood on the environment, but reusing and recycling clean waste wood instead of sending it to landfill can also reduce business expenditure. 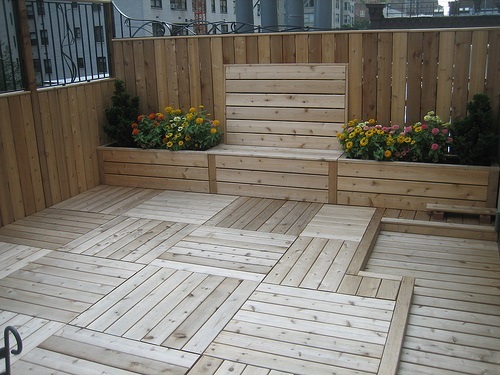 ‘Clean wood waste’ means wood that is unstained and untreated. This is important, as one of the main uses for recycled wood is to turn it into boiler fuel for heating. Stained and heat treated wooden pallets often contain chemicals which could be released as dangerous gases when the wood is burnt. In order to reduce the environmental impact of landfill disposal by creating a system to transform wood waste into a usable resource, the Wisconsin Resource Recovery Department in Brown County teamed up with Wisconsin Waste Wood Recycling company in Suamico. Together, they produced a programme to recycle clean wood waste as heating fuel for boilers. Reducing the impact of industry on the environment is top of many people’s concerns, but this is not the only benefit of the programme. Industrial and commercial companies recycling large volumes of clean wood waste can expect savings of $5 per ton of waste compared to landfill disposal – a small sum, but one that will add up. Even small businesses handling products shipped on used wooden pallets often produce around a ton of wood waste in a week, making the process of disposal much cheaper in the long run. The service also provides benefits for non-commercial or industrial users. Local residents can have access to a cheaper means of disposal for waste wood that would otherwise accumulate and take up valuable space in basements, garages and lofts. Wisconsin’s wood recycling programme is part of a larger effort to find financially feasible ways to reuse and recycle waste products. Other common waste products usually thrown straight into a landfill, such as tires, shingles and appliances, are accepted for a lower cost as recyclables and then stripped down into raw materials to be re-purposed.